It is officially Spring and we hope you are as excited as we are for a new season! At Chervin Furniture & Design, we strive to make sure that our showroom and product catalogue always feel fresh and full of life for you. With friendly staff, quality products, and a passion for details and sustainability, you will always be positioned to leave our store encouraged and inspired. And thanks to our upcoming renovations, we’ll be providing you with an even better in-store design experience in 2019! Since we took over ownership of the showroom in 2017, we have been gradually working on updating and refreshing the 17,000 square foot building. 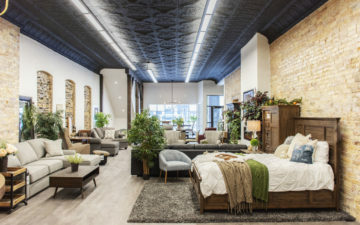 If you’ve been in our showroom recently, you’ll know we’re finishing up some renovations in the basement and we have an extensive area downstairs that is devoted to bedroom furniture and sofa beds. You’ll also know we are in the midst of our Annual Chervin Spring Furniture Event (until March 23rd, 2019), where everything on the showroom floor is marked down 20% (and custom orders are marked down 15%). All this is to make way for these and future renovations, improvements, and new pieces – it is an exciting time to be at Chervin! 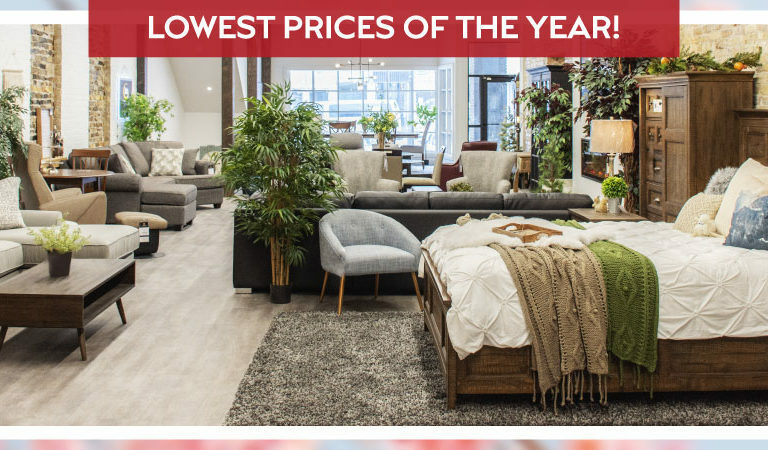 Our showroom in Elmira is filled with a wide range of sofas, chairs, beds, tables, and accessories, ready to tastefully grace your home with creativity and class. And some of the most fun recent additions to our showroom include a range of children’s furniture – including armchairs, bench seats, and bunk beds for the little ones in your life. But recently we have noticed an increased interest in (and availability of) highly customizable furniture, and we’re excited to walk with and guide our customers on that journey! We sell multiple brands with ultra-customizable construction and design, including Vogel (custom upholstered furniture), Handstone (custom wooden furniture), and Bertanie (custom dining tables and chairs), and we want to make the design process as seamless and engaging for you as we can. 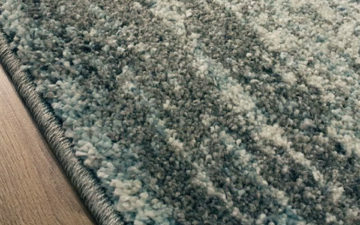 Customization with these brands doesn’t just mean basic fabric or leather options, but also dimensions, leg style, wood finish, trim, and more. You can see a sampling of the products they offer below (and there are lots more options we can discuss with you in person!). Our goal with these renovations is to re-organize and design our showroom so that the top floor will be exclusively dedicated to design consultations and order customization. Well-lit design stations with comfortable seating, and space for exploring plans and spec sheets, surrounded by organized fabric swatches and finish samples, will give you a peaceful and inspiring place to explore your options with one of our representatives, and select all the elements and measurements for your dream furniture. Having everything in one designated area will foster a seamless experience in a cohesive and intentional space, that allows for clarity and creativity. As we look towards the new life that comes with Spring and Easter, we pause to be thankful for all the new opportunities on our horizon – and we thank our team, our suppliers, and you for that! We’re excited for what is to come on the third floor over the coming months, and we can’t wait to sit down with you in our brand new design centre and help you design your dream furniture. 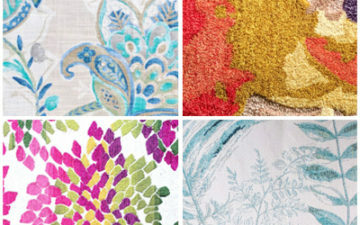 Until then, we hope you’ll come visit us to see the beautiful products in our showroom this Spring!